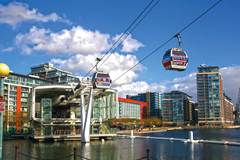 London Info International will be held at London ExCeL Centre, on 6 and 7 December. This multi-faceted event will have at its heart a two-day streamed conference with high-level and influential keynotes, complimented by two conference streams dedicated to sharing, learning and making a real difference to those working in information. The overall aim of the conference is to create a platform for the information community to discuss, digest and influence the forces that are shaping the landscape. Paul Blake and Vincent Cassidy, co-chairs of the London Info International Conference, have created the conference themes for this year’s event. Both Paul and Vincent have extensive career experience in the information world. In 2016, the ‘rise of the user’ sees millions of research professionals connected to each other and to content in a way that challenges the status quo. Deep structural trends are intensifying the strain on traditional information distribution models, creating opportunity and risk in equal measure. The growth of open access, driven by funding mandates and the sheer volume of research output, is putting pressure on long-standing channel and institutional relationships. There is also the threat of the ‘napsterisation’ of our industry as we face Sci-Hub and other darker sides to the culture of open science. Meanwhile shifts in technology, user behaviour, demographics and funding are leading to intriguing new challenges for information services – at a time when there is increasing demand to demonstrate value. How do we navigate a path through this changing landscape? How can we harness the insight in our collective experiences? How can we make better choices and decisions? Our conference will attempt to answer these questions by bringing together a broad range of voices and opinions across our industry – to learn from one another, share insight and discuss approaches to managing change. Open Access, open science and the rights struggle – whose content is it anyway? Our community is helping to create a unique and special event by submitting speaker proposals. The call for speakers, which recently closed, resulted in our receiving an outstanding selection of papers and speakers, and our challenge since has been selecting the very best. The reaction to our call and our themes has further underlined our belief that there is a pressing need to come together as a community with common purpose to broaden our knowledge and understanding of the challenges we collectively face. At the time of going to press we are finalising significant keynotes and will issue the first draft conference programme during July. As soon as this is announced we will open our conference registration. Full two-day tickets will be £595 (+VAT). We will further announce attractive early bird, special and multiple attendee rates so there is a chance for all to come to our conference. 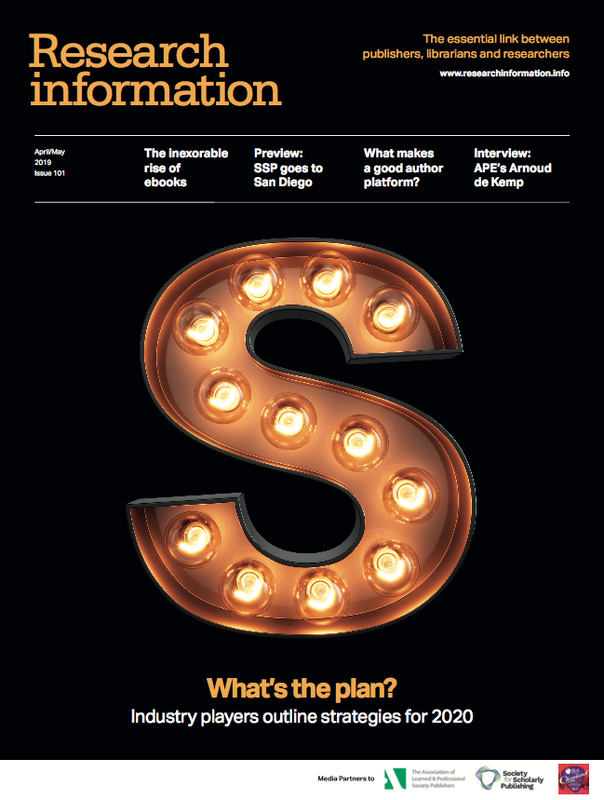 There are somewhere between 400 and 600 start-ups around the world creating ideas, products and businesses in the scholarly, research and professional information world. The Disruptor Zone gives us the opportunity to invite these exciting initiatives to attend LII 2016 to show our community their ideas, concepts, business models and execution. Each participant will be given a short presentation time on the main showfloor on day one (6 December). Our team made up of our advisory board, management team and conference chairs, assisted by some invited judges, will help to select the very best of these. The final decision will rest with the audience, who will be encouraged to vote and tweet on their favourites. The successful participants will be invited to present to the conference delegates on day two as part of the main conference programme. There will be a further vote and, by the conference close, we will announce the winner of The Disruptor Zone 2016. The recorded presentation will be made available to the LII community and the winner will be promoted at the launch of LII 2017 in January. This competitive event takes place on the showfloor and will be available for all LII exhibition visitors and delegates to attend. The Disruptor Zone is designed to offer start-ups, vendors and publishers the opportunity to showcase their newest and most innovative products, platforms, and/or content. The showfloor sessions will give the audience a chance to learn about, assess and discover those with the potential to have the greatest impact on the LII community. By working with this section of the community we are looking to engage with brand new businesses and help them with their launch marketing programmes. We will help link these start-ups with the investment community – as well as other potential partnering and mentoring organisations – who will be in attendance at LII2016 during the two days. On 7 December the two first-round winning organisations have the opportunity to present to the conference delegates as part of the main conference programme – this is where they can show themselves to an international and highly influential group. This presentation, and subsequent Q&A, will be filmed and shared with the LII community and database as part of the January launch of LII 2017. As part of the build up to LII 2016 Disruptor Zone we are working with Research Information as a key media partner and will be able to publish outlines of the enterprises and ideas in subsequent issues in the months before the show.